Texas Educational Seismic Project (TX-ESP) promotes inquiry-based learning and investigative methods in earth sciences for K-12 classrooms. The curriculum and discussion materials may also be adapted for colleges, libraries and other educational centers. TX-ESP augments Texas teacher’s 5E lesson plans with inquiry-based learning methods. TX-ESP’s goal is to expand linear problem solving skills of the K-12 student towards an enhanced creative analysis and assessment skillset. TX-ESP uses seismology as a stimulating teaching tool to accomplish this goal. 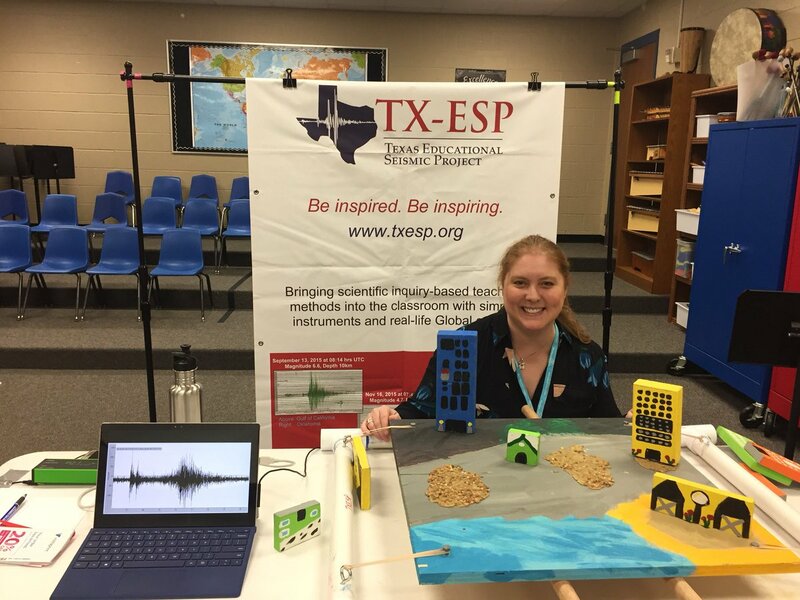 The program aligns with Texas Essential Knowledge and Skills (TEKS) science requirements thru teaching students about seismology and seismic waves, plate tectonics, earthquakes, volcanoes, and mountain building. Finally, the curriculum and activities intend to help students learn to reframe traditional science lessons into a dialogues of scientific inquiry.